This sample pack provides you and your students with the opportunity to try two high quality products covering all of the operations. 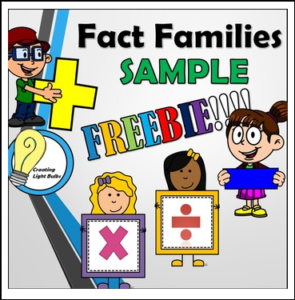 The full products include all of the facts from 1-12, rainbow facts, leveled extension activities and blank sheets to create your own. If you would like to follow my store, click on the GREEN STAR next to my logo. You will be instantly notified of any sales, discounts or freebies.